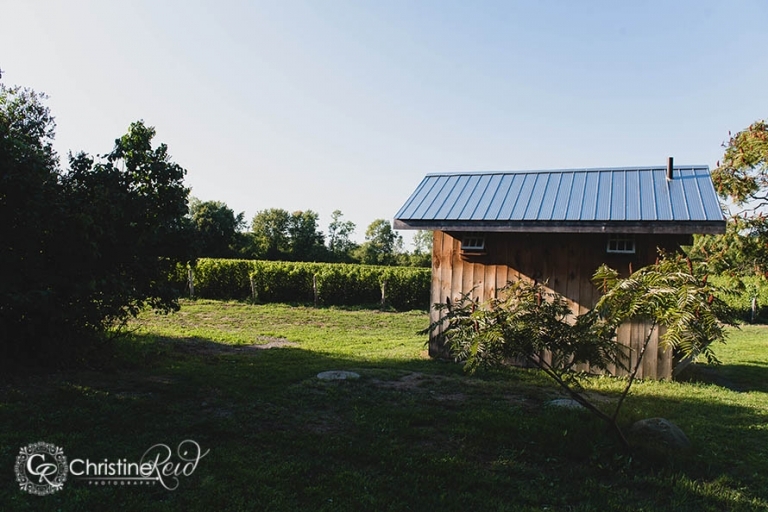 Prince Edward County is one of those places in Ontario where no matter how many times your visit, you still find something new to experience. So many people believe they can do “The County” in a day, or even in a weekend…. Well, after living here for 3 years and travelling nearly all 1,050 square kms of that island more times than I can count, I can tell you there are STILL places I haven’t seen, tasted or dined at. 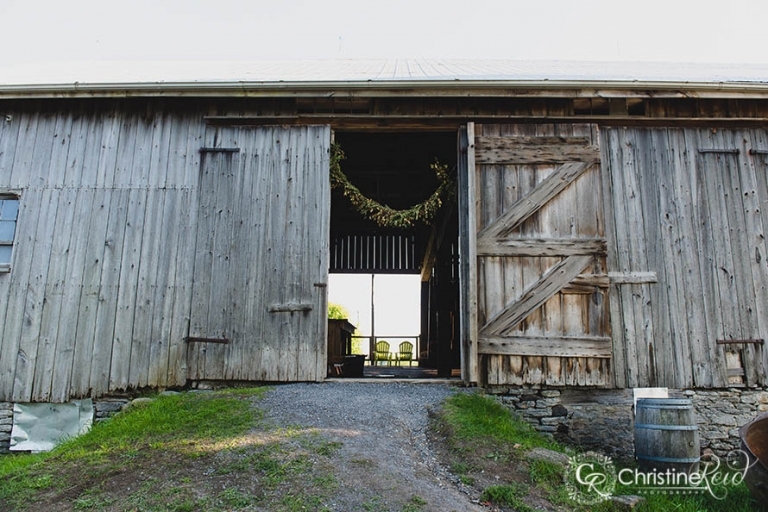 This year, one of those new places for me to bring my camera to was By Chadsey’s Cairns Winery & Vineyard just outside of Wellington. It’s a lovely little winery (which is for sale by the way! ), with it’s own farm house, barn and apple house (used as their tasty room). 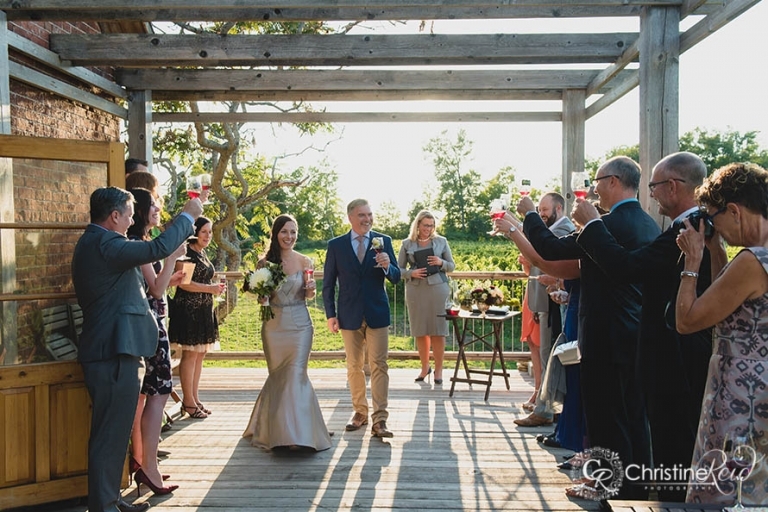 I first met Jessica & Dale here and their vision for their wedding was something I could appreciate: 16 of their closest family and friends, married on the back deck of the apple house, overlooking the vineyard at sunset, drinking wine. 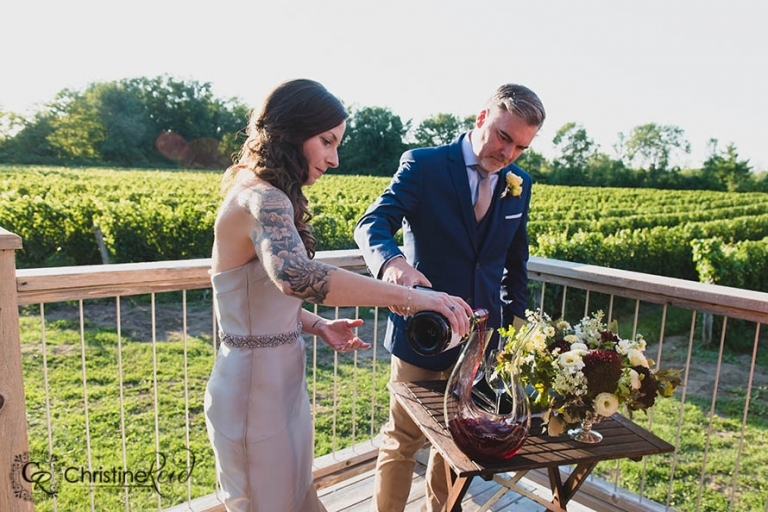 The lovely Dawn Quantrell officiated the intimate ceremony, which included pouring two bottles of wine into a decanter and re-pouring it into each guests’ glass to signify unity. It’s a dream really…. (and you guessed it, also helped inspire my own wedding day). Making the day as personal as possible is what a wedding is really all about. After the sun set and the photos were done, they gathered together in the farm house for a catered dinner where I took my leave, but not before taking one of my favourite moon-rise photos ever. 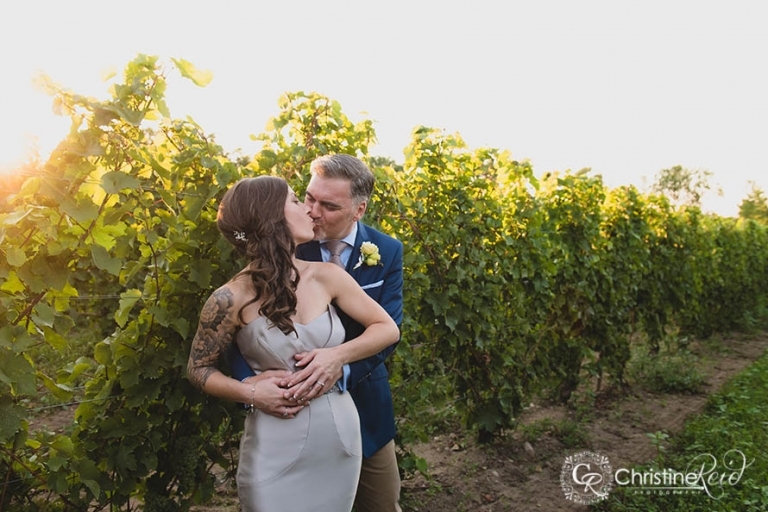 I hope you enjoy some of these glowy vineyard wedding moments with this beautiful couple, and if you’re planning an intimate wedding in Prince Edward County, do not hesitate to check this venue out (tip: September is a lovely time of year to get married there).